Shares in Bristol-Myers Squibb (BMS) have fallen after a trial showed the company’s cancer immunotherapy combination was no better than Pfizer’s already-approved rival at preventing kidney cancer from progressing. This is the latest in a series of trial disappointments involving cancer immunotherapies, which began when BMS’ Opdivo monotherapy failed in a trial investigating its use in the lucrative first-line lung cancer indication around a year ago. More recently, AstraZeneca’s combination of durvalumab and tremelimumab failed in a first-line lung cancer trial, although durvalumab has been approved by the FDA under the brand name Imfinzi in a form of kidney cancer. 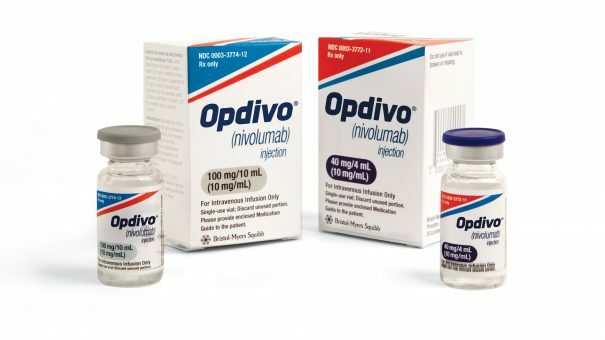 Opdivo is already a blockbuster, generating sales of more than $1 billion in Q2 alone – but Merck & Co’s rival PD-1 class drug Keytruda (pembrolizumab) is gaining fast with quarterly sales of $880 million, thanks to its approval in first-line lung cancer and a host of other tumours. The phase 3 CheckMate-214 trial evaluated a combination of Opdivo (nivolumab) and Yervoy (ipilimumab), compared with Pfizer’s Sutent (sunitinib) in intermediate and poor-risk patients with previously untreated advanced or metastatic renal cell carcinoma. While the combination shrank more tumours, meeting an overall response rate study goal, it failed to significantly improve on progression-free survival compared with Sutent. Results showed a numerical improvement in progression-free survival (PFS), with the combination producing a median PFS of 11.56 months, compared with 8.38 months in a patient arm treated with Sutent. CheckMate-214 is set to continue until September 2019, and BMS said it will allow the study to continue to see if the combination improves overall survival, the trial’s third co-primary endpoint, compared with Sutent. The side effects were consistent with previous trials involving the drugs, BMS noted. Goodman added: “The overall response rate and durability of response favoured the combination of Opdivo and Yervoy, and the trend for PFS supports the potential of the combination in intermediate and poor-risk advanced renal cell carcinoma, the most common type of kidney cancer. But investors were not so optimistic and shares in BMS fell nearly 4% in after-hours trading on the New York Stock Exchange, to $57.87.